An independent kingdom for much of its long history, Korea was occupied by Japan beginning in 1905 following the Russo-Japanese War. Five years later, Japan formally annexed the entire peninsula. Following World War II, Korea was split with the northern half coming under Soviet-sponsored Communist control. After failing in the Korean War (1950-53) to conquer the US-backed Republic of Korea (ROK) in the southern portion by force, North Korea (DPRK), under its founder President KIM Il Sung, adopted a policy of ostensible diplomatic and economic "self-reliance" as a check against outside influence. The DPRK demonized the US as the ultimate threat to its social system through state-funded propaganda, and molded political, economic, and military policies around the core ideological objective of eventual unification of Korea under Pyongyang's control. KIM's son, the current ruler KIM Jong Il, was officially designated as his father's successor in 1980, assuming a growing political and managerial role until the elder KIM's death in 1994. After decades of economic mismanagement and resource misallocation, the DPRK since the mid-1990s has relied heavily on international aid to feed its population. North Korea's history of regional military provocations, proliferation of military-related items, long-range missile development, WMD programs including nuclear weapons test in 2006 and 2009, and massive conventional armed forces are of major concern to the international community. For silver and base metal coins of the North Korea, please look at our original Chard Coins website. 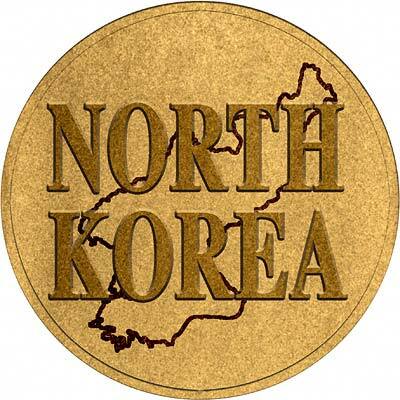 We make an active market in almost all world coins, gold or otherwise, including North Korean gold coins. If you have any of these coins to sell, please contact us, or post them to us for appraisal and offer.